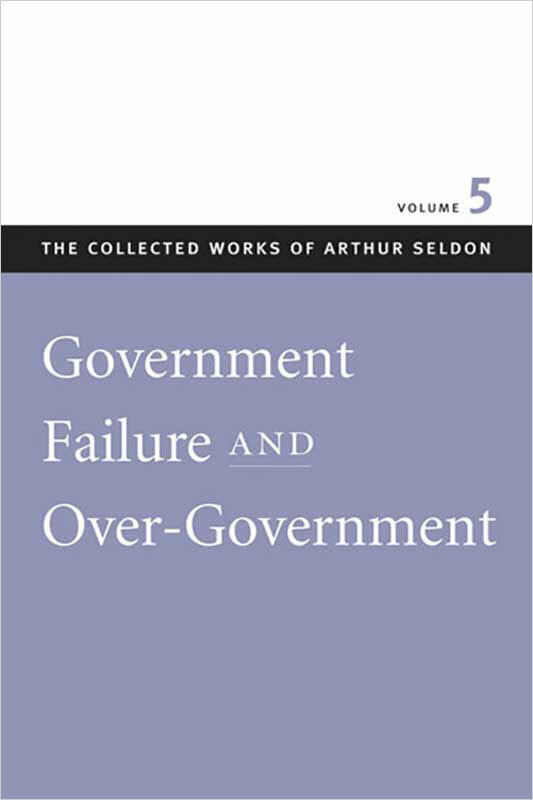 In the fifth volume of The Collected Works of Arthur Seldon, Arthur Seldon uses public choice economics research to support his theory of over-government. The term “over-government” was coined by Seldon and is defined as the failure of governments to govern well, leading the public to avoid government programs in favor of markets. Seldon explains how the results of government programs are always at odds with what the people would have chosen for themselves, because governments seek to impose taxes and legislature based on their own agendas. This increasing control and restraint by the government will continue to force people to abandon those ineffective programs for more open markets and other countries that support them. Seldon argues that government bureaucrats rely too heavily on unions, labor groups, and lobbyists and act in their own interest instead of opening those options up to the people they serve. Seldon purports that any government that continues to force its own views and desires on the unwilling public will lead to its own demise as the public searches elsewhere for a more representative democracy.